In one short sentence: Purposeful Focus is a marriage of mindfulness and subconscious goal-setting... as it turns out, a marriage made in heaven! Since 1996, I've been enabling my clients use what I call "Purposeful Focus" to transform their businesses, careers and lives. 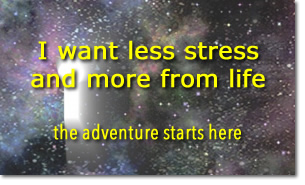 The results: no more stress, living "in the zone", achieving big goals... effortlessly. When you learn to focus purposefully everything else becomes easier... or, actually, effortless. So, whether you're trying to cope with or manage stress, trying to transform your business or change your life; or if you're a coach (or would like to be) enabling your clients to achieve great things, you've come to the right place... let's get to know each other better!